Helmi Shaarawi’s “Egyptian African Biography” (Sira Misriya Afrikiya) is a large volume of over 500 pages that came out a couple of weeks ago during the 2019 Cairo International Book Fair. It was also released in time for Egypt’s taking over the presidency of the African Union (AU) that started this week. It is the first presidency for Egypt since 1993 when it last chaired the Organisation of African Unity (OAU) before the name and style of cooperation of the pan-African organisation changed in 2002. In 2018, Shaarawi finished a two-year task of writing his book that stands somewhere between a memoire and a biography. It was exactly the same year that he ended his job as chair of the Arab African Research Institute, which he had assumed in 1982 at a time when Egypt was overcoming years of internal political changes in the wake of the 1973 War and subsequent 1979 peace treaty with Israel, and was getting back on track with its previous high profile relations with Africa. Shaarawi’s first job, however, which he assumed for 14 consecutive years starting from 1960, was researcher at the Africa Unit of the presidential office. Between 1960 and 2018, Shaarawi spent an entire career working on understanding and enhancing relations with Africa. As such, his book is not just a collection of meetings he had with African figures and leaders or visits he had made in close to six consecutive decades all over the continent. It is rather a first-hand testimony in the making — and later perhaps unmaking — of Egypt’s policies on Africa. As he states in the introduction, Shaarawi’s book is not designed to document these policies. He chose not to include in it almost any official documents, for he had meant it to be his personal take on how he saw Egypt building and enhancing — or at times neglecting — its relations with Africa. Still, the book is full of considerable details on how Egypt managed these highly sensitive and important relations. And apart from the first four chapters that are dedicated to introducing the reader to the author — a Cairo University student of sociology in the early 1950s with a passion for anthropology and an affinity towards Africa — the other nine chapters are an interesting, if not highly detailed, explanation of the current profile of Egypt’s relations, including the most pressing issue of its relations with Ethiopia and Sudan, and the rest of the Nile Basin countries in East Africa. Clearly, given Shaarawi’s presence in the official quarters during the rule of Gamal Abdel-Nasser, his take on “how Egypt founded its policies on Africa” is a lot more detailed and informative than during the following years of the rule of Anwar Al-Sadat, when Shaarawi was moved to the non-governmental arm of Egyptian political management of Africa. Still, and despite the announced preference that the author shows towards Nasser’s policies over those of Sadat’s, the book illustrates that there was always a continuity in Egypt’s engagement with Africa, even if it lived through ups and downs, especially after the 1967 War that forced Cairo to give less attention to expanding its relations with Africa — not just the political but also cultural and economic relations — in favour of working on liberating Egyptian territories that Israel had seized in June 1967. Shaarawi’s later role as a senior researcher in African affairs, far from almost all decision-making circles during the subsequent rule of Hosni Mubarak, further reduces the dose of information and allows more of an overview take of the progress, or the lack thereof at times, of Cairo’s relations with the rest of Africa’s capitals. Overall, the book is a very interesting baggage of information, anecdotes, analysis and memories that recalls Shaarawi’s “road to Africa”. 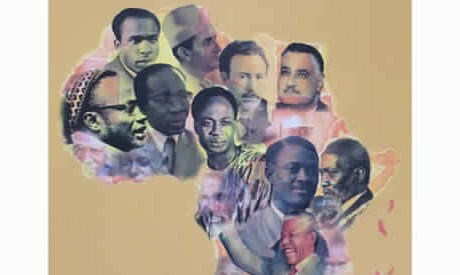 It shows how the personal preferences of some senior aides of the successive rulers of Egypt since 1952 and the layered relations between official bodies helped shape Egypt’s policies on Africa from the heydays of its support of African independence movements in the 1950s and 1960s to the current attempts to rebuild strong bridges with the continent. The book also explains the “African zones of interest” for Egypt and the complexities of relations among the regions of the continent built on ethnic, religious and certainly colonial affiliations, in a way that sheds a great deal of light on today’s inter-African relations and the interests of leading international powers in the continent.